When come time to receive, come time to bake. And at Nouwee we love to bake! And because Christmas is coming we take this occasion to suggest you some christmas inspired cupcake. You will love to create them as well as to eat them. 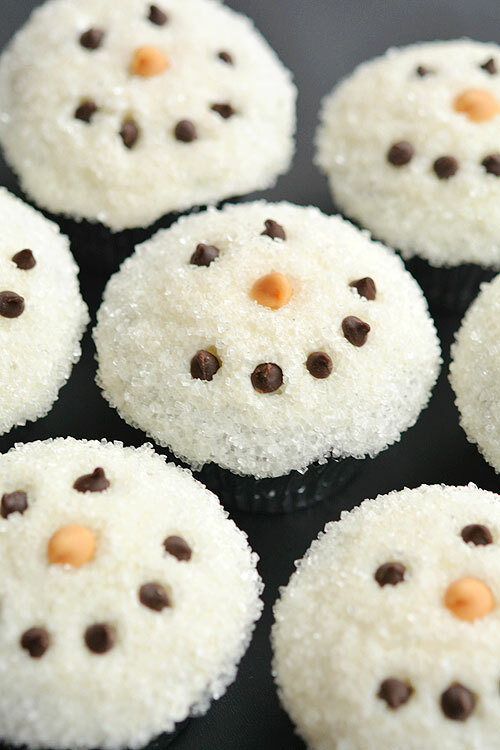 1- Glorious treat suggest us a wonderful way to create beautiful frozen cupcake. These are Chocolate cupcakes (recipe HERE) with Vanilla Cream Cheese frosting (recipe HERE), made extra special with some royal icing snowflakes colored in sky blue color. 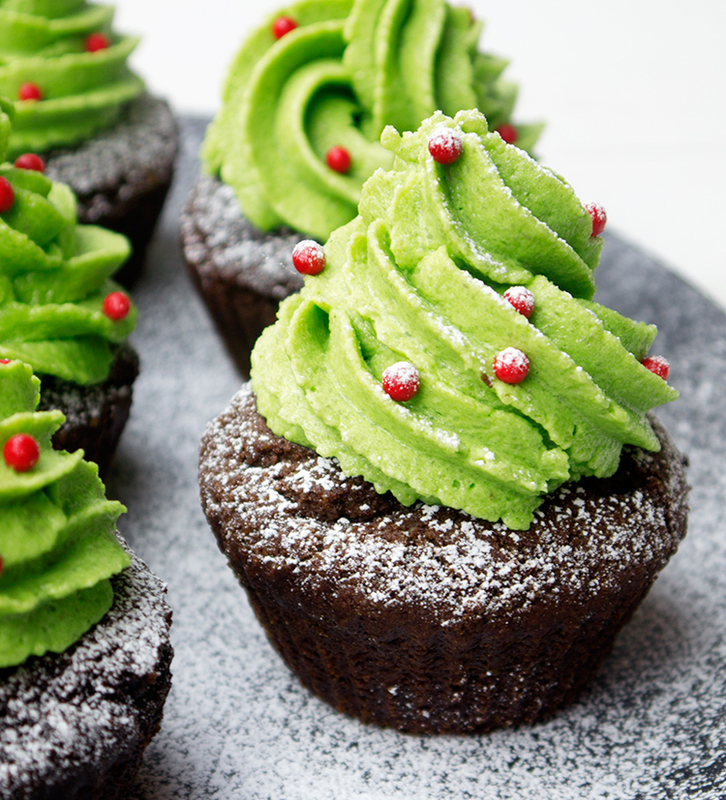 2- Nadia’s Healthy Kitchen propose to transform your cupcake to little christmas tree. We simply love them and even better they are gluten-free and vegan! 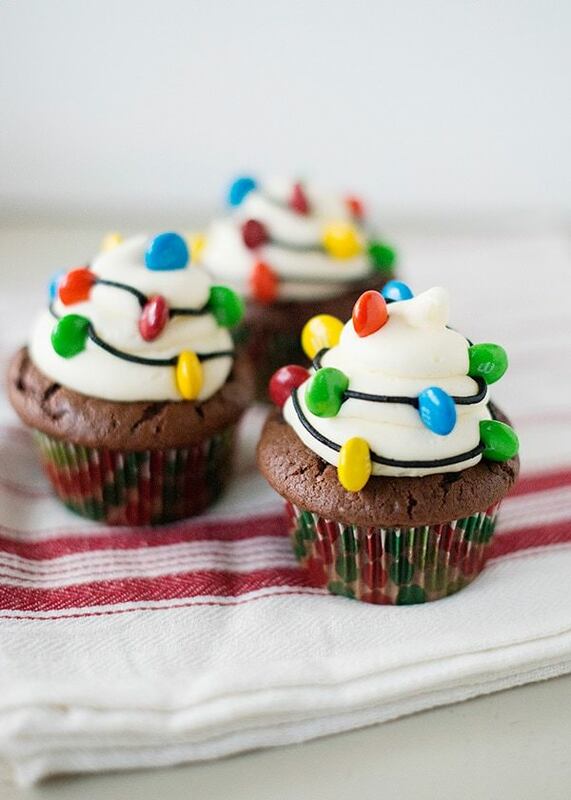 3- Baked Bree’s use M&M to create a Christmas light cupcakes! They are perfect for adding a touch of festivity for your supper, brunch or business dinner. 4- Cute As A Fox create these ornament cupcakes which you would like to hang into your tree. 6- What a wonderful idea from craftymorning to do these adorable Rudolph reindeer! 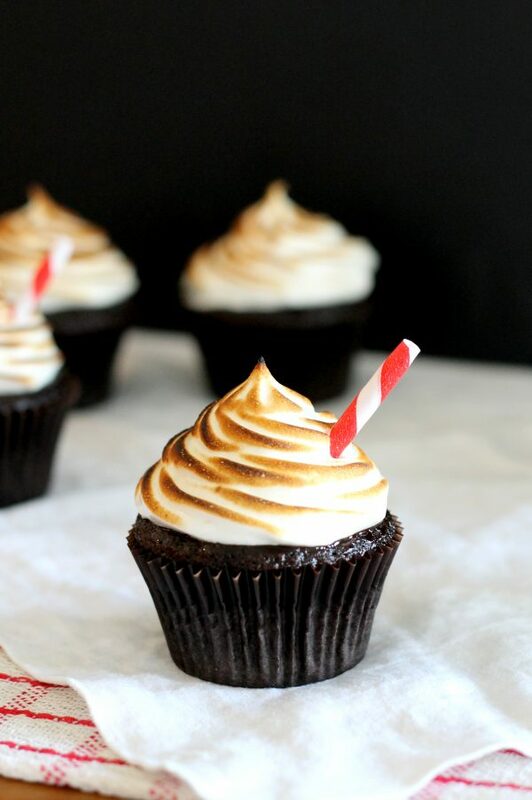 7- If you like it more classy, these fluffy, toasting marshmallow frosting chocolate cupcake from bakerita will be a good fit for you! 8- What would be Christmas without Santa? These Santa hat from frugalmomeh will be the perfect fit to integrate Santa into your next lunch. 9- These elegants wreath cupcakes from williams sonoma blog will please everyone. 10- Or mayne you want to keep it simple like these 2 colour cupcake from whatmegansmaking. 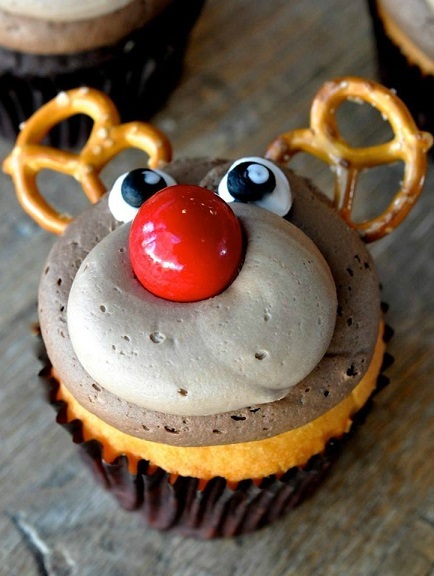 Hope you like these ideas for christmas cupcake.